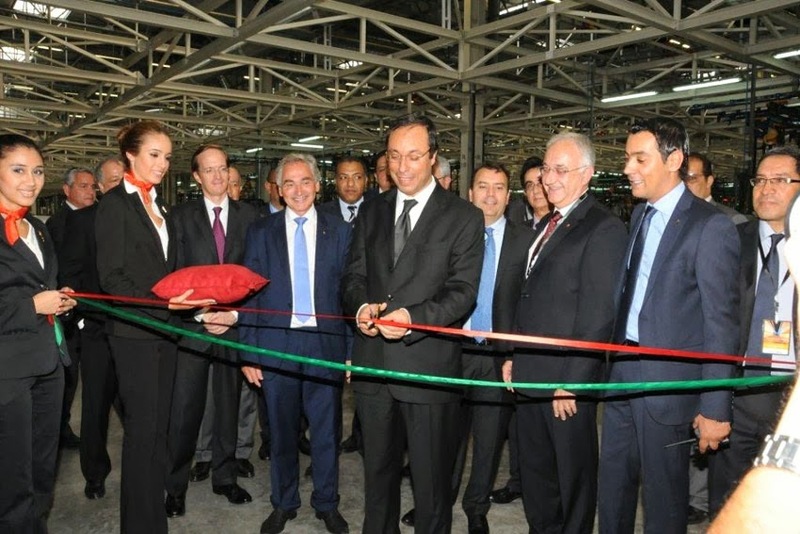 second production line at the Renault-Nissan Tangier plant was celebrated. The new line will increase the site's output capacity to 340,000 vehicles a year, starting in 2014. It required an investment of €400-million and will produce Dacia Sandero and Dacia Sandero Stepway, two leading models in the Dacia range. This achievement, the result of a public-private partnership between the Kingdom of Morocco and the Renault group, makes the plant the largest in Africa, a major industrial ambition and a source of productivity and development for the country’s automotive sector. The commitment of suppliers in their support for the plant contributed to the successful completion of this new step forward, while meeting technical and economic requirements. This development makes Morocco a cornerstone of manufacturing competitiveness and respects the ambitious road map coordinated by the Renault-Nissan plant and the Kingdom of Morocco together with the Moroccan Association for Automotive Industry and Trade, AMICA. "Today's ceremony is extremely important to us. It illustrates Renault's willingness to meet its commitments and Moroccan Authorities' ambition to develop the automotive industry in Morocco. I am sure this second production line will produce great quality Sandero vehicles and will be a strong testimony of the 'made in Morocco' label globally," said Jacques Prost. Some 1,400 people have been recruited for the needs of the new line, raising the plant's total workforce to 5,000. Morocco's Institute for Training Automotive Industry Professionals, IFMIA, a powerful tool for the development of human resources, is pursuing its development strategy to hone the skills of the plant's new recruits and existing staff. 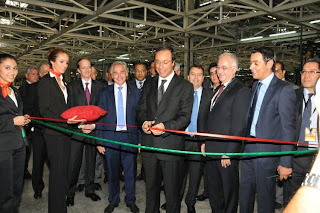 Inaugurated on February 9, 2012 by HM King Mohammed VI and in the presence of Carlos Ghosn, President of the Renault-Nissan Alliance, the Tangier plant got off to a strong start and day by day has successfully developed its expertise and met its objectives. The adventure now continues with a second production line and a third vehicle.